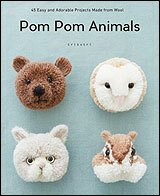 It's here! 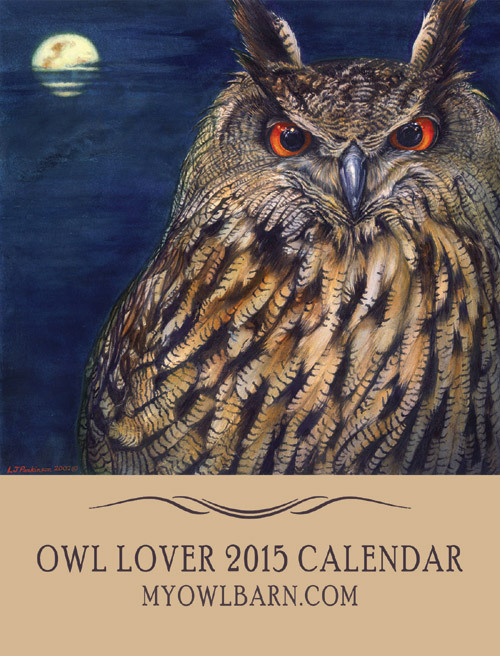 Once again, I am back with our fifth Owl Lover 2015 calendar in collaboration with a bunch of talented and well-known artists like Philipp Grein, Flora Chang, Ellen Giggenbach, Michelle Allen, Juliette Crane, Renee Treml to name a few who contributed their artwork to make this calendar possible. 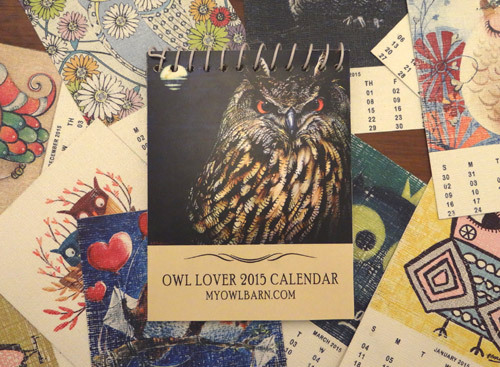 Like always, Owl Lover 2015 calendar is completely customizable and is free! 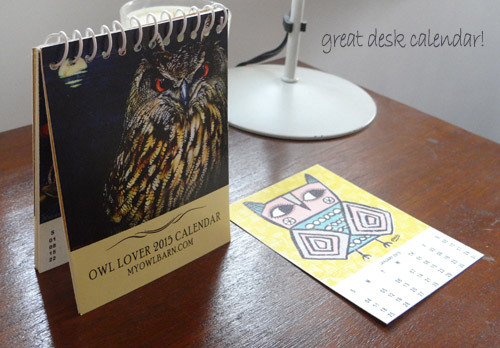 From 46 artworks you can choose the images to design your own unique calendar. 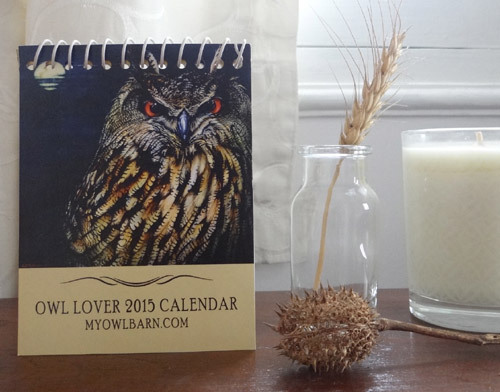 And don't forget, the calendar will make a great Christmas stocking filler and holiday present so make one for every family member because everyone needs (and loves) a free calendar. 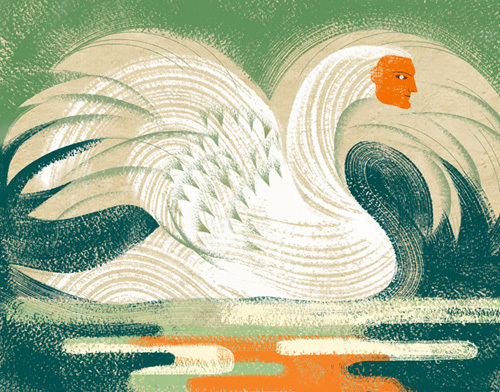 You can also show your support for the project and the artists who have worked really hard for bring you this awesome calendar by sharing the it with your friends and family, I'll really appreciate it. 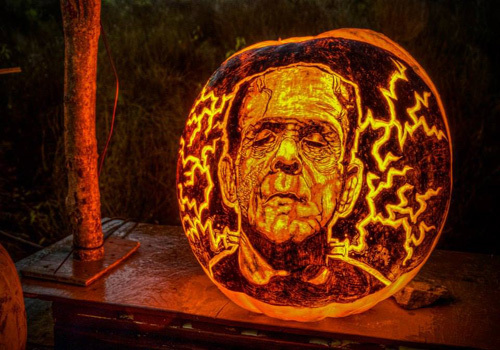 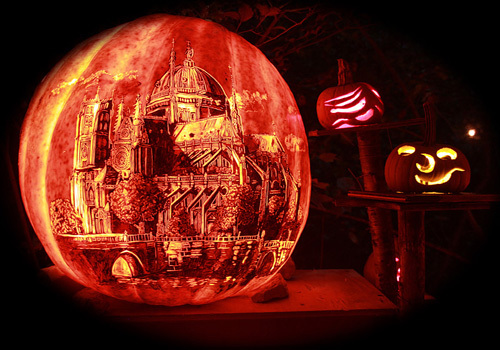 Before I go ahead and take a leave for today, here are some intricately detailed pumpkin carvings from Jack-o-lantern Spectacular to get the creative juices flowing. 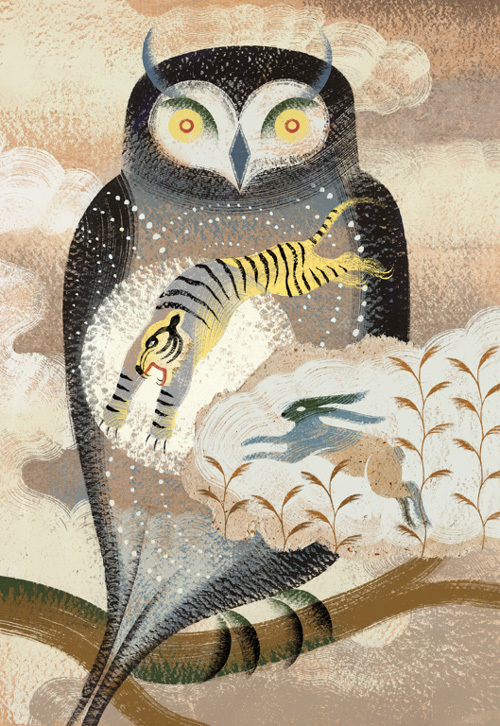 I'll get back to what have been working on for few weeks now, and which I can't wait to share with you all. 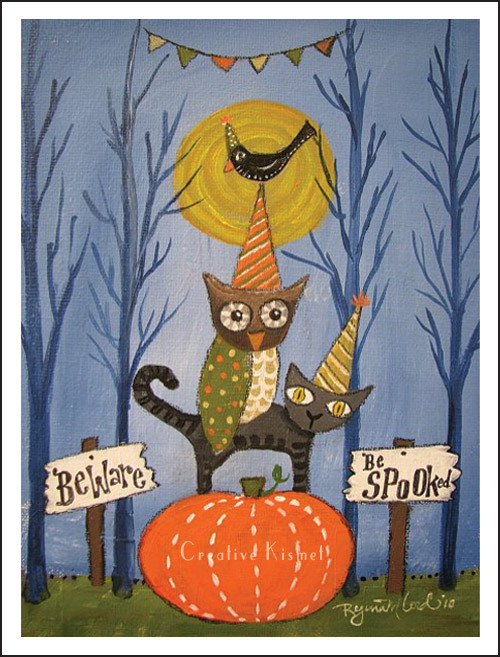 So don't forget to stop by here tomorrow. 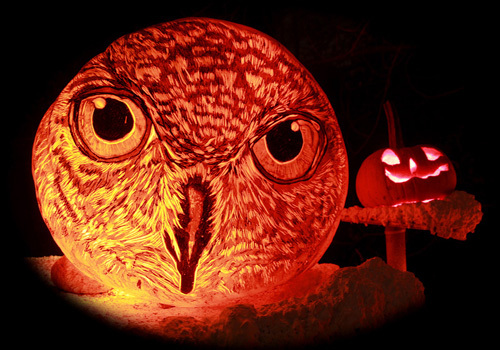 For now enjoy the pumpkin art. 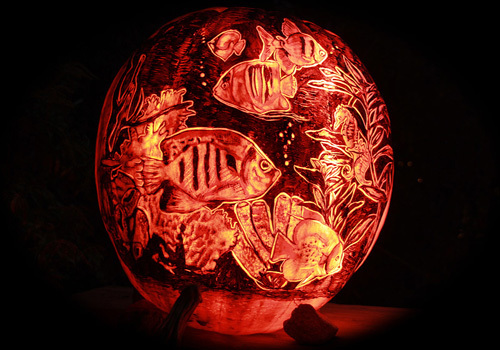 What started as a family fall event to raise funds for the Oxford School department in Massachusetts by the founders of Passion for Pumpkins and their partners quickly gained popularity among pumpkin art enthusiasts and has been attended by over a million patrons. 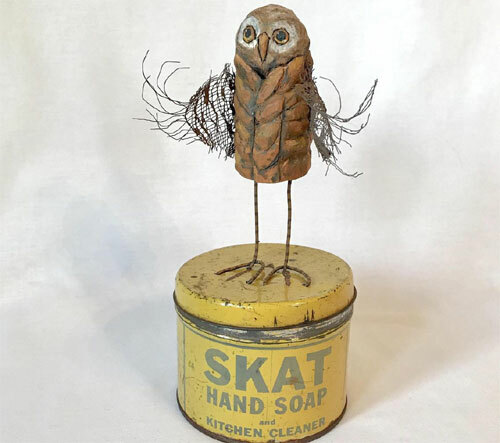 They have participated in solo shows and shows in association with The Bayside Expo Center, Pawtucket Red Sox at McCoy Stadium and The R.I. Zoological Society at the Roger Williams Park Zoo. 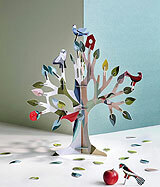 In 1999 the event was awared a “Local Legacy” award by the Library of Congress. 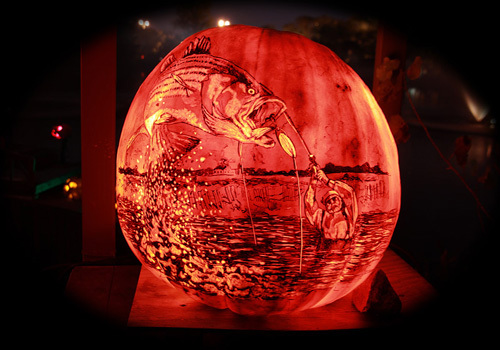 Every year, skilled artists get their hands dirty to produce masterpieces carved with portraits and landscapes. 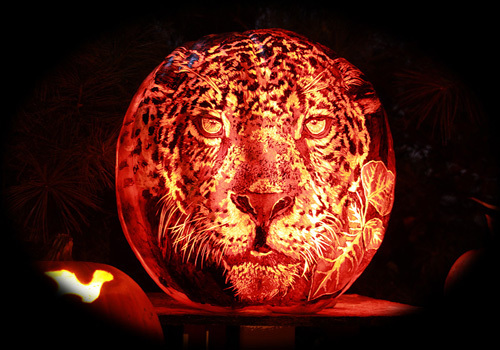 Their pumpkins display is a treat for the senses and entertainment for the entire family. 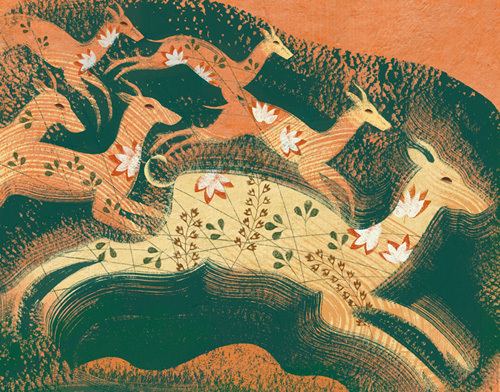 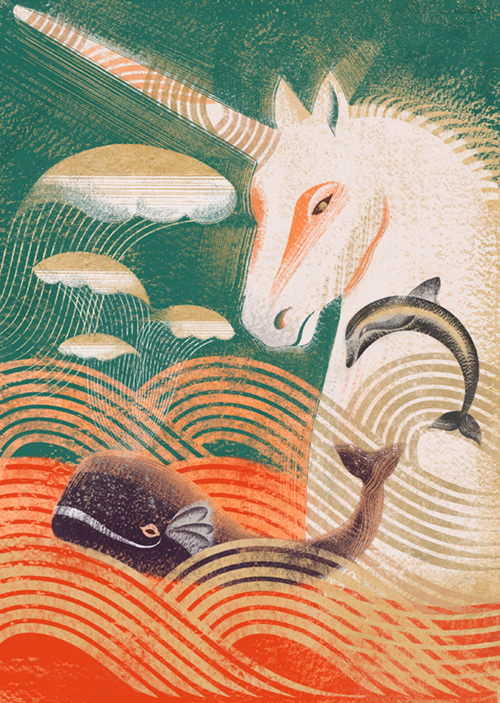 Anna and Elena Balbusso, twins, are freelance illustrators from based in Milan, Italy. 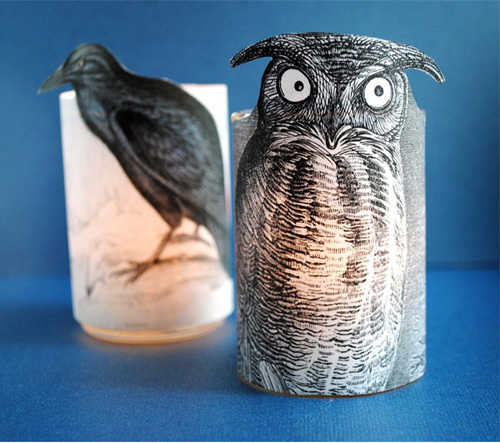 They both studied at the Academy of Fine Arts “Brera” of Milan and the University of Milan. 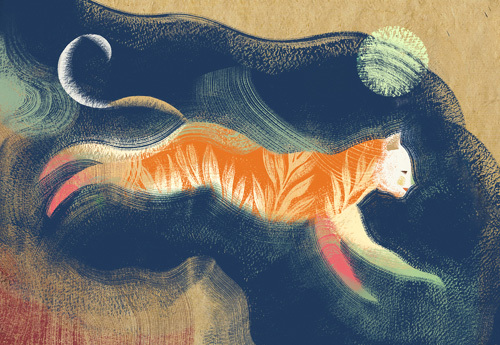 Their works have been published in major publications in Italy, US, Korea and France. 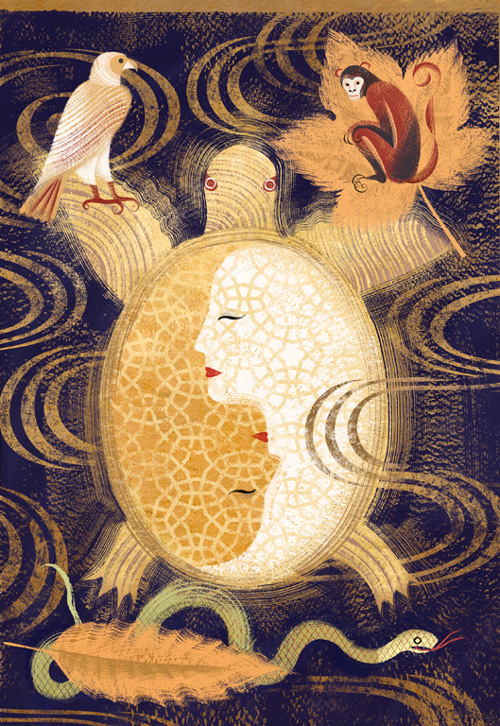 Their artwork has been exhibited in numerous exhibitions and galleries in Italy as well as in abroad. 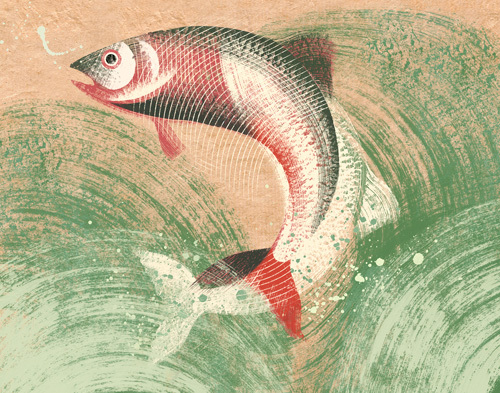 I admire their work for a striking combination of muted and vibrant colors, and the great texture which gives a feel of an old paper. 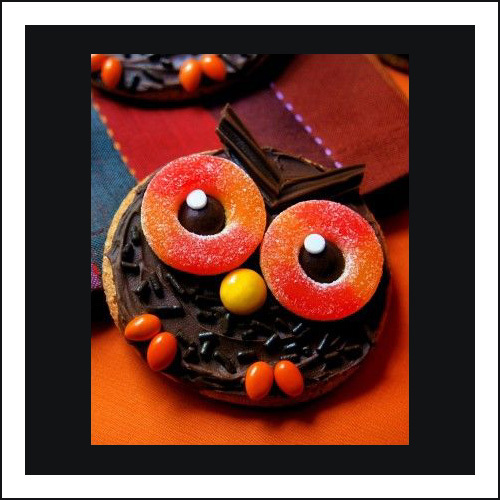 Visit their website to see their portfolio of amazing work they have done in the past and you can join them on facebook for the latest updates. 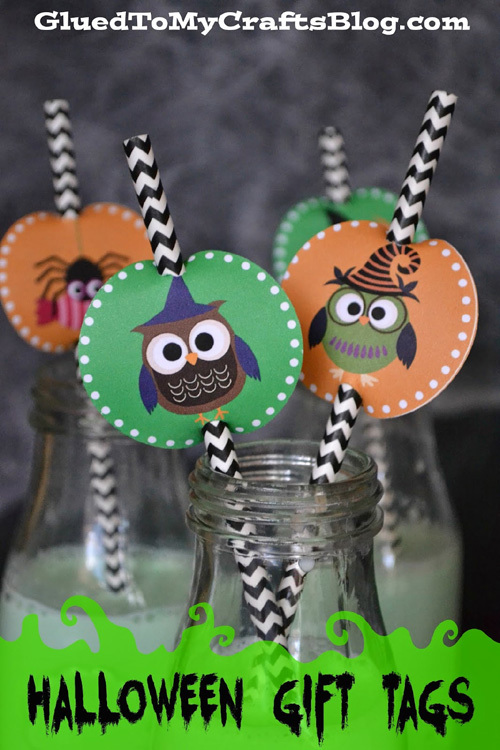 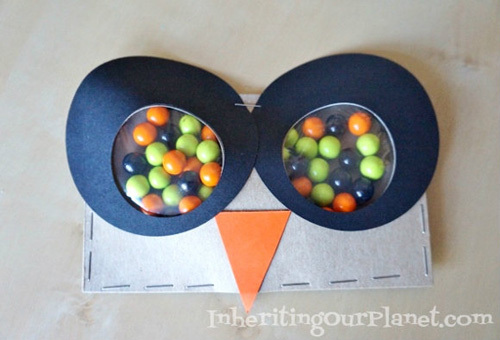 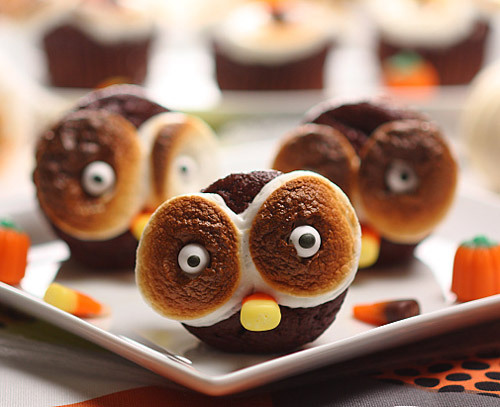 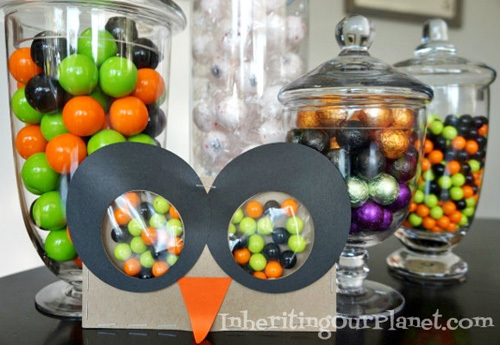 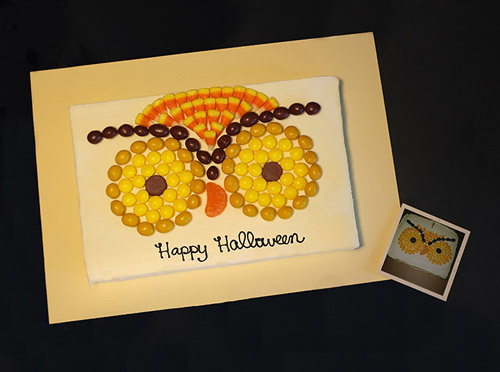 See-through owl halloween party favors, from here. 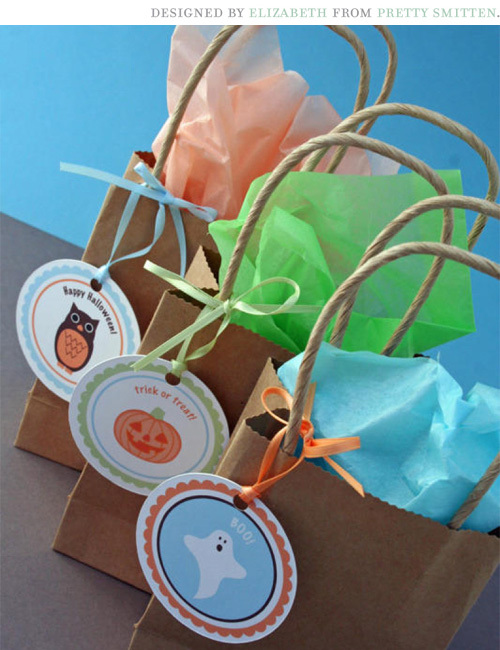 Trick-or-treat goodie bags, from here. 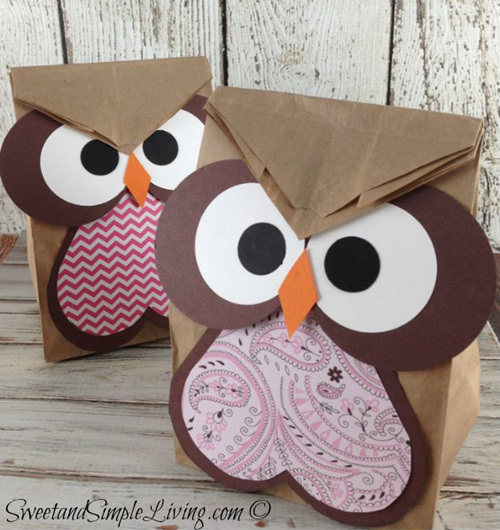 Paper Treat Bags, find them here. 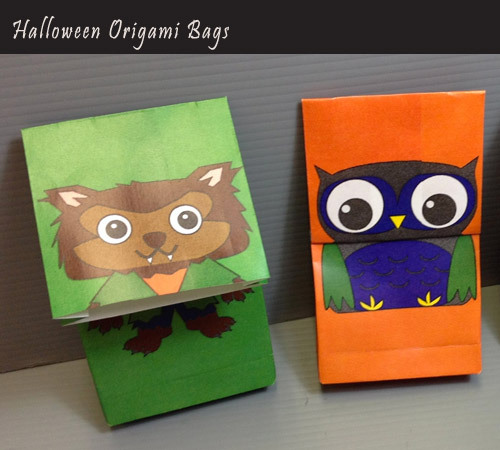 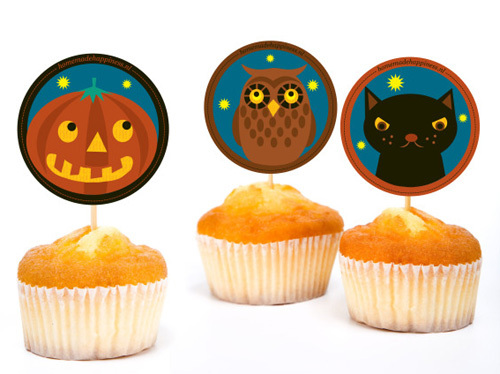 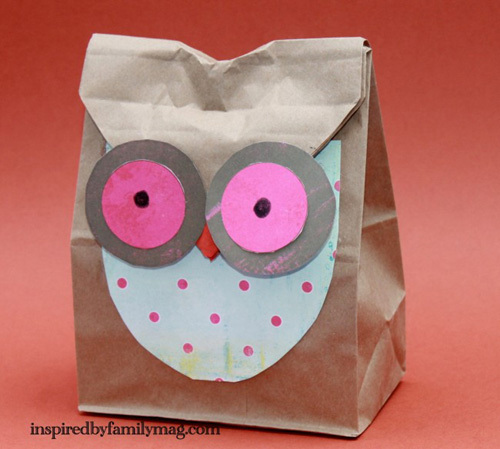 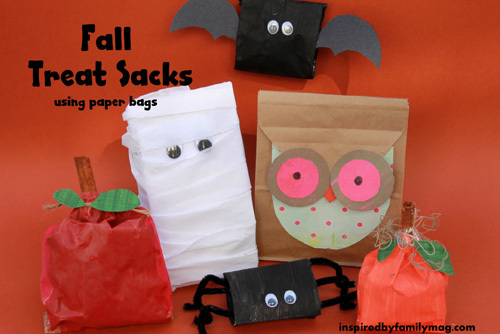 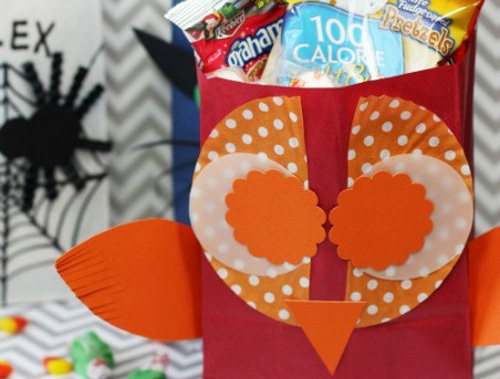 We have covered Halloween treats, easy owl costumes, free printables and now it's time to get some treat bags ready for those goodies! 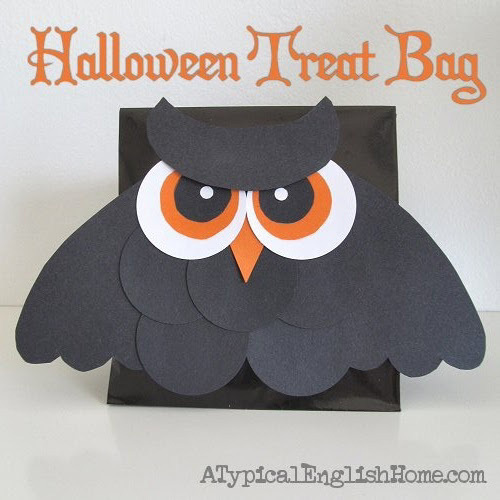 Hence, I have made a collection of 6 DIY Halloween treat bags that are great for last minute party favors or neighbors who stop by on Halloween. 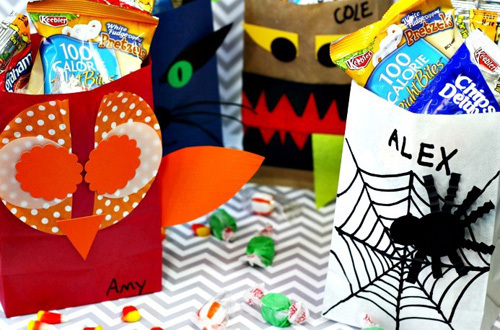 Halloween treat bags are a must and with the help of these super easy tutorials you can create something special to hand-out candies or cookies in no time! 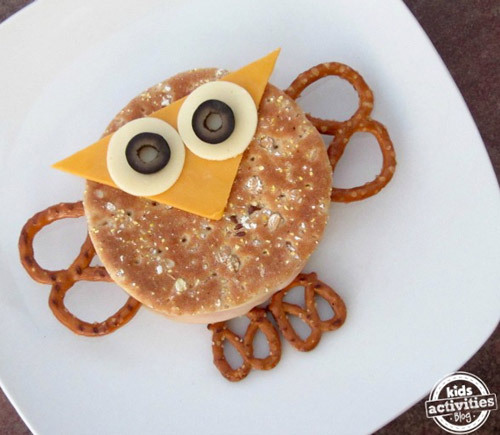 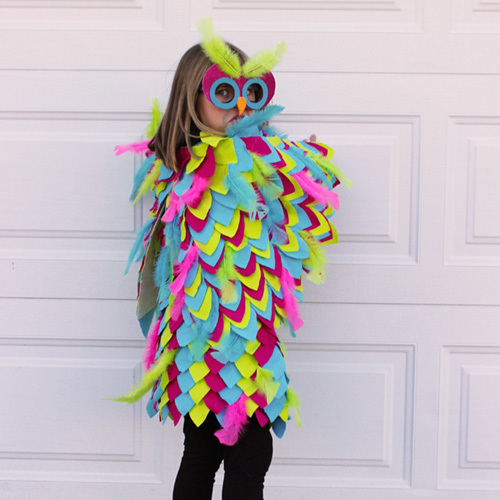 No-sew Owl Costume, Flats and more! 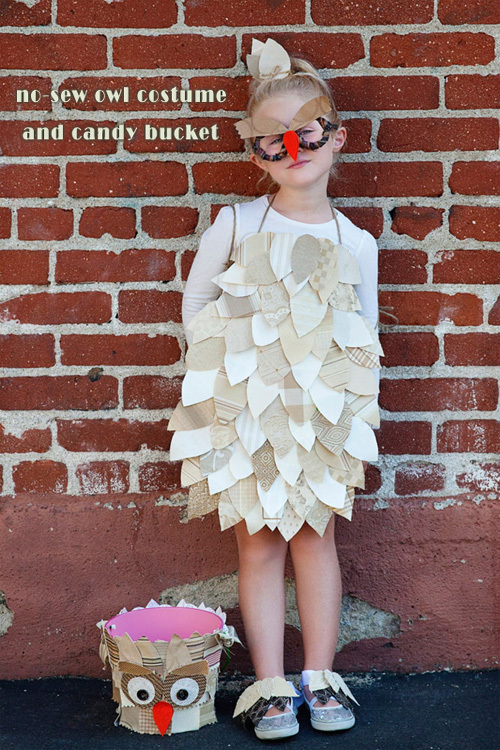 No-sew owl costume with a matching candy bucket, from here. 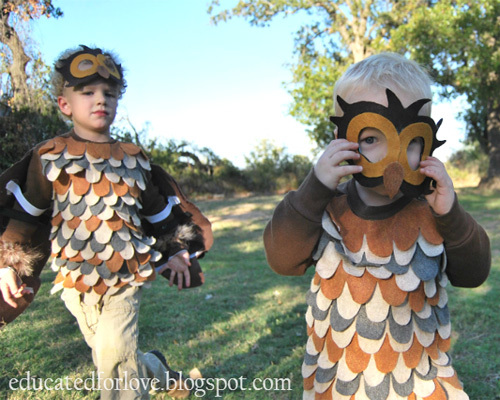 Here are some of my favorite owl costumes which are simple to make and require no sewing machine! 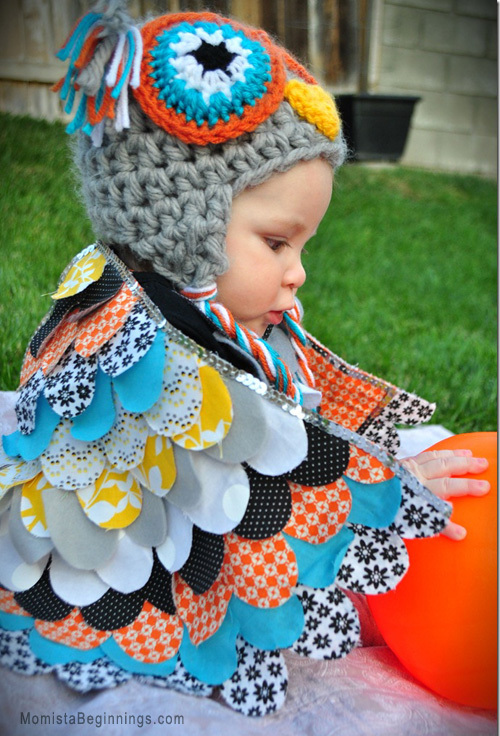 These adorable costumes can be put together in one afternoon with just a few simple materials and are sure to be loved by the little ones. 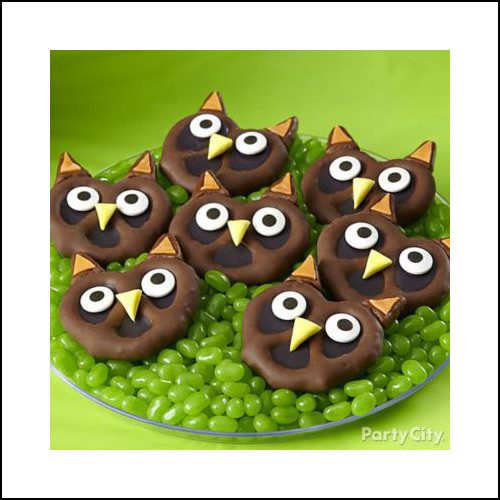 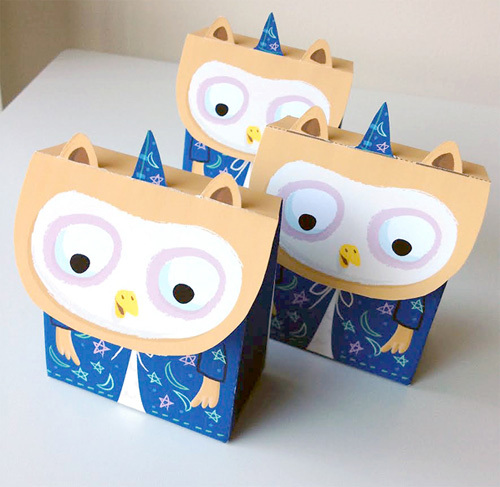 The no-sew owl costumes, candy bucket, owl head-band and flats come with easy to follow instructions, links to which can be found under the images. 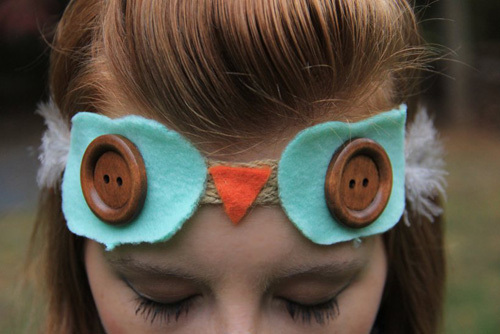 No-sew owl head band, from here. 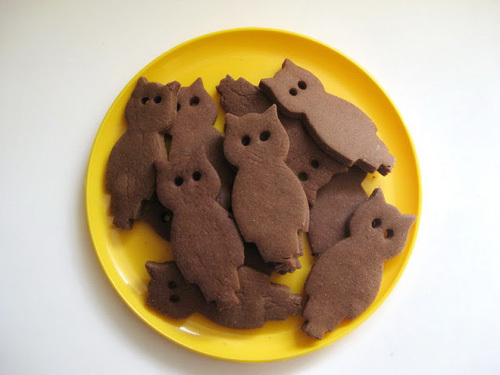 DIY felt owl flats, from here. 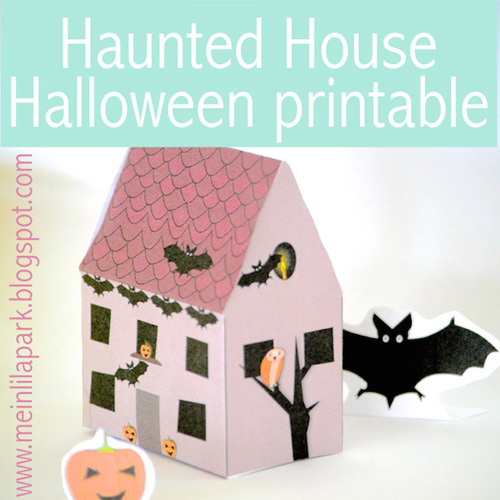 Here are 12 easy last minute Halloween printables for free that can help you put together one creepy, spooky trick-or-treating night for your kids! 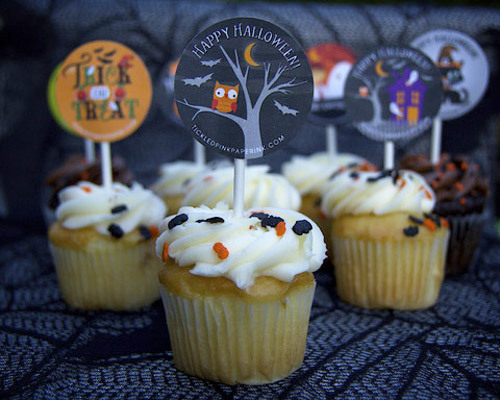 This post has a complied list of free goodies like gift tags, wall art, cupcake toppers, goodie bags, greeting card, votive candle sleeve, haunted paper house and more. 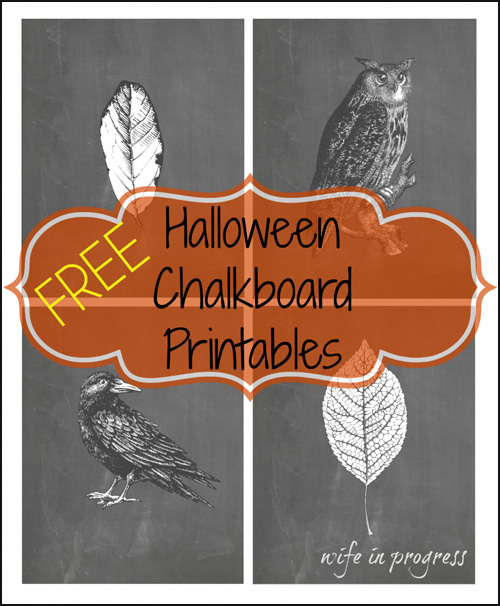 There are many more fun and inspiring printables that you can download for free from here. 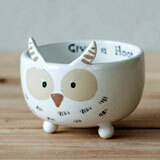 If you have been reading my blog for sometime then you would know how much I adore Pepperpot products. 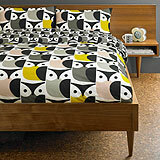 I've featured their 'Hoot' collection previously here. 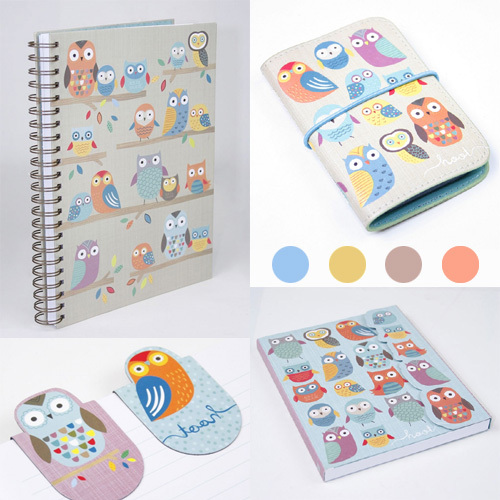 Last week I received an email from Pepperpot about their brand new range called 'Owlets' which I couldn't wait to share with you all. 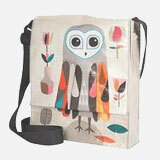 The range features an assortment of owls perched on a tree branch in lovely shades of blue, brown, yellow and orange. 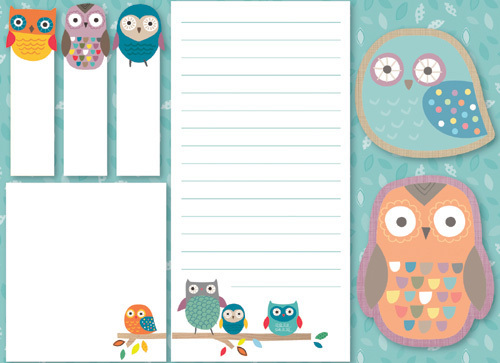 The range offers a variety of products in the design including - magnetic album, spiral notebook, journal, card holder, magazine holder, page markers, sticky notes, notecards in tin and more. 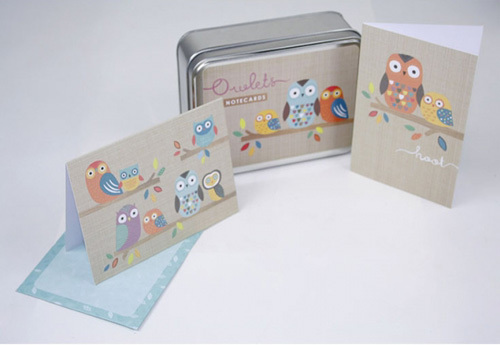 These are perfect stationery gift items for yourself, for friends and family or a perfect stocking filler this Christmas. 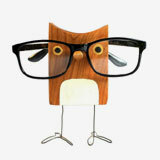 If you are not able to make up your mind then this will help you decide. 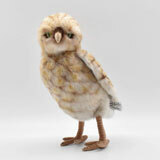 Pepperpot is giving My Owl Barn readers 30% off all 'Owlets' range. 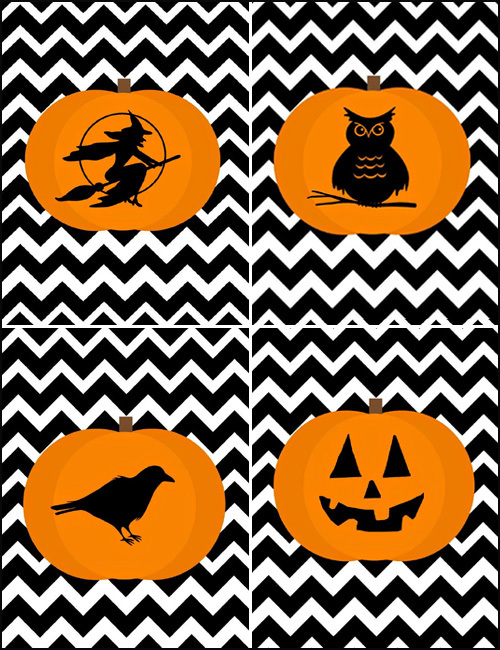 Just enter coupon code MOB30 at checkout. 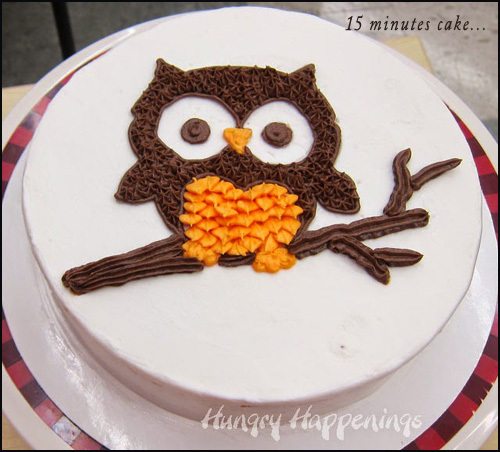 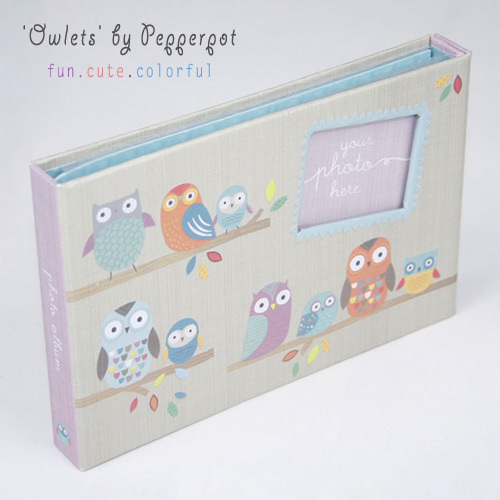 The code is valid until November 27th 2014, so don't wait owlet miss out! 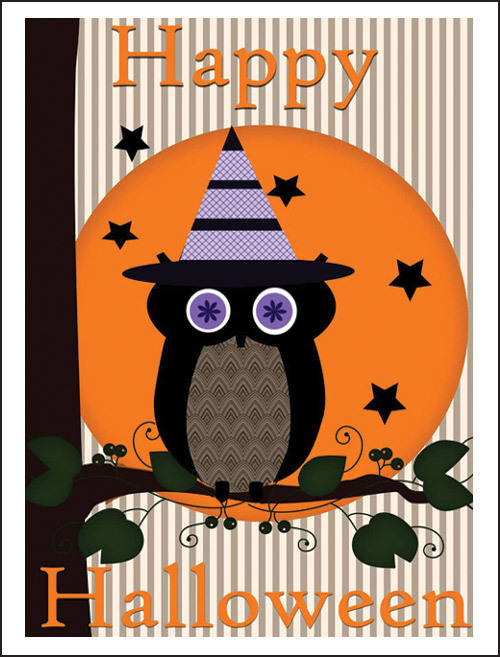 Update: The issue related to the coupon code has been fixed. 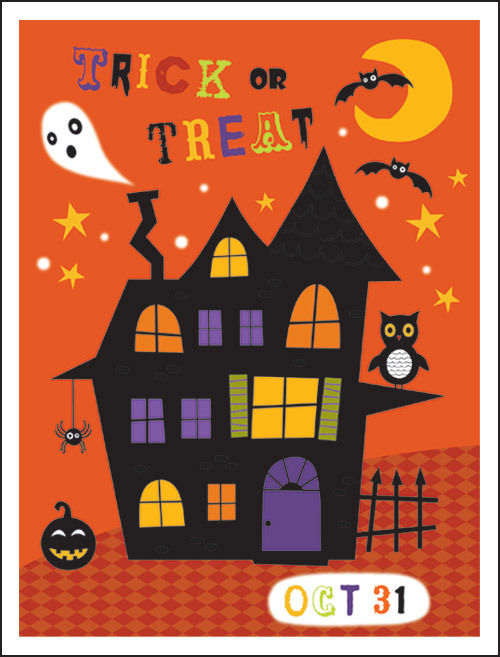 Please go ahead and use it at checkout. 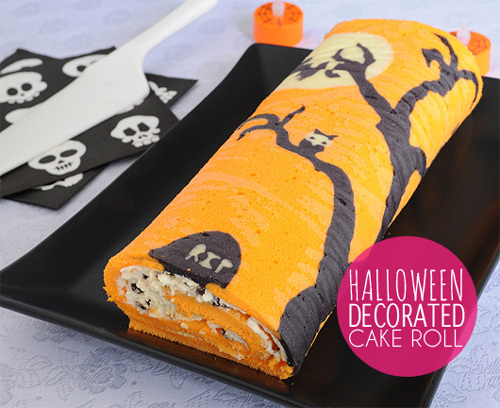 I can't belive Halloween is only a few days away. 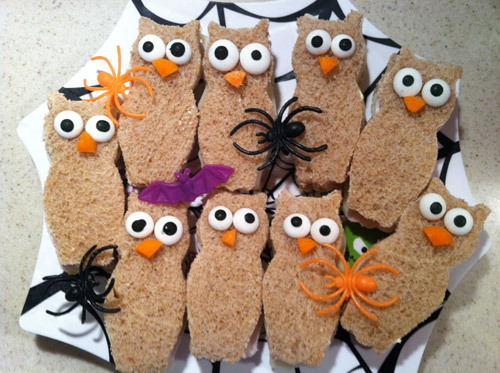 Are you ready with the treats? 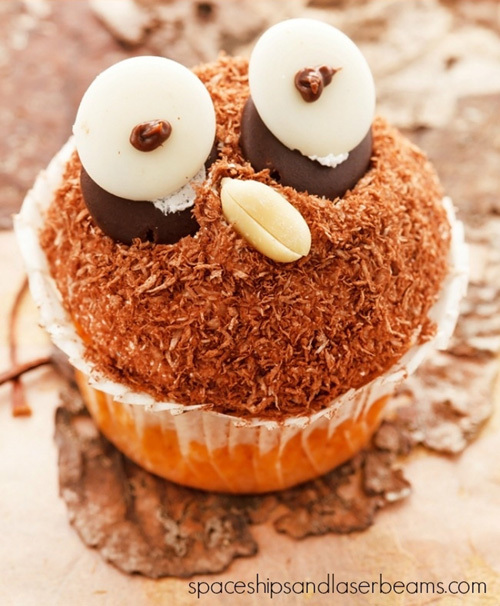 Well, I have you covered there. 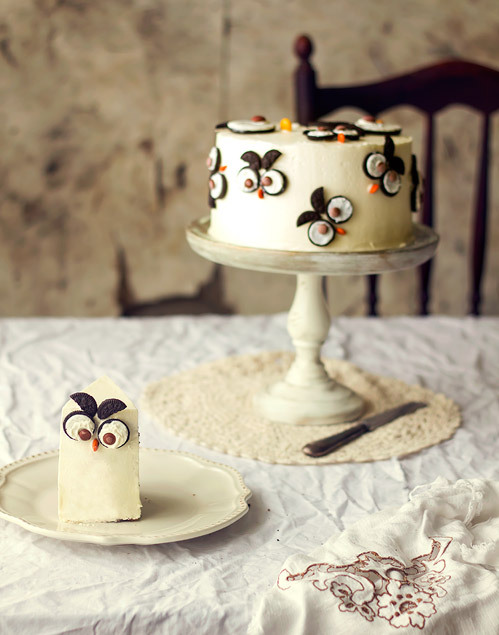 I have been collecting recipes and today I have 12 awesome Halloween treats to share with you which I'm sure you won't be able to wait to try for yourself. 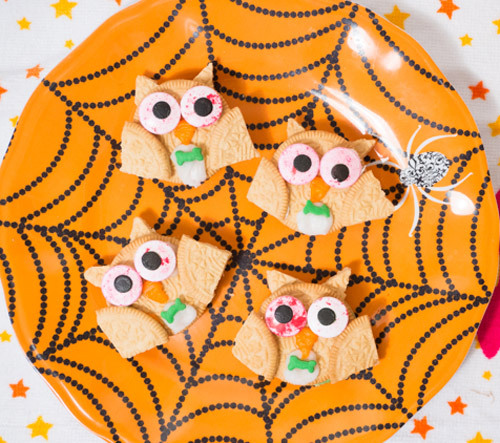 Go ahead, take a gander at the round up of these Halloween recipes and have some fun making them on the spookiest day of the year!